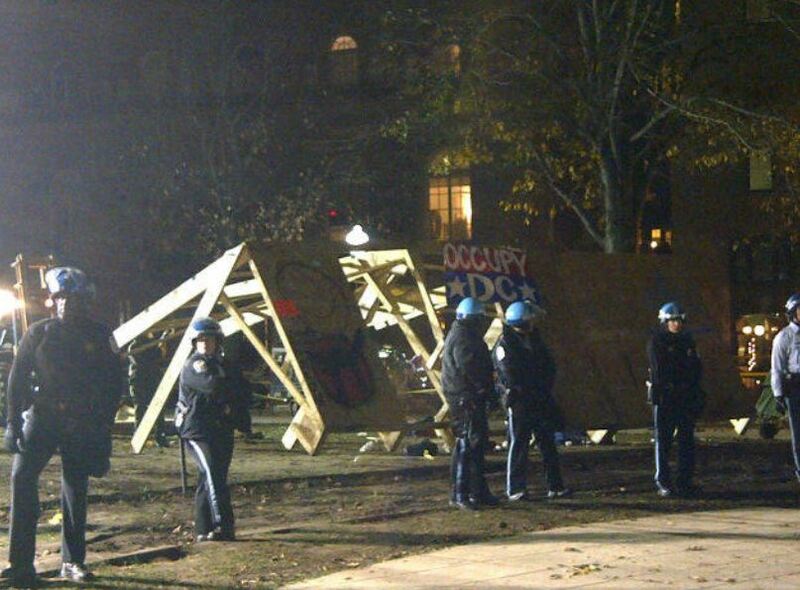 Today, Occupy DC protesters began assembling a prefabricated wooden structure in McPherson Square. This structure was designed by professional architects and engineers with the purpose of providing warmth and shelter for the Occupiers when having the General Assemby meetings. 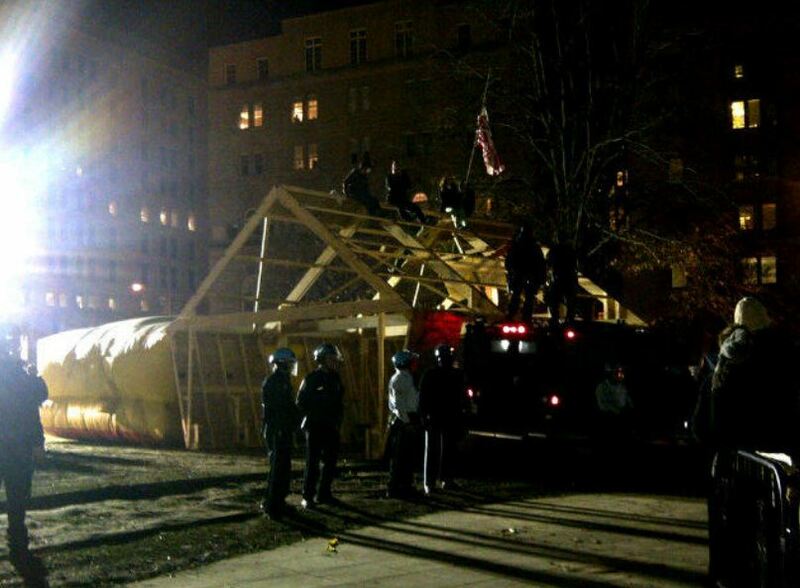 At 11 AM today, the Federal Park Police arrived and ordered the Occupiers to disassemble and remove the structure within the hour. The modular structure was designed by professionals ‘to code’. It meets all health and safety requirements and is fully accessible. It is non-permanent, has no foundations and is not tethered to the ground. 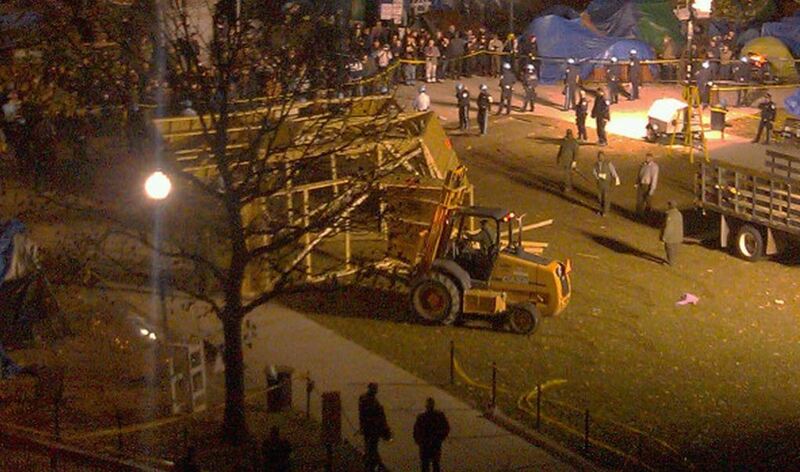 It’s designed to be movable every four days to protect the grass beneath the structure. The structure is fully sustainable–it is built to be entirely passively solar-heated and will feature a hydroponic irrigation system on the roof. 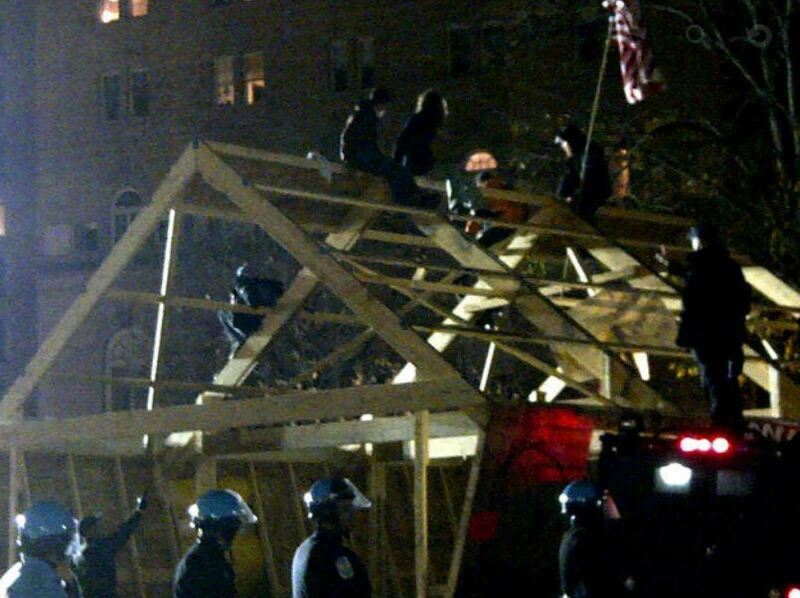 In protest to the police order, several Occupiers climbed onto the top of the A-frame roof portion of the structure and refused to come down. 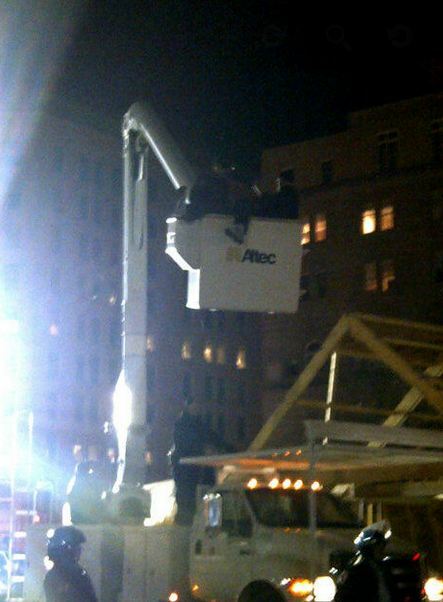 The police eventually brought in a cherry picker to use to gain access to the protesters in order to remove and arrest them. 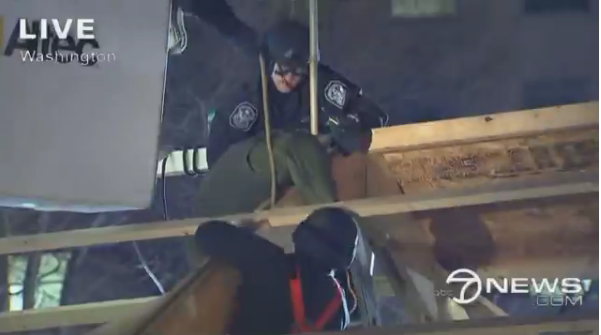 Protester David decided to make a stand against the police force and held on to the beams until the officers finally were able to overtake him physically and bring him down. 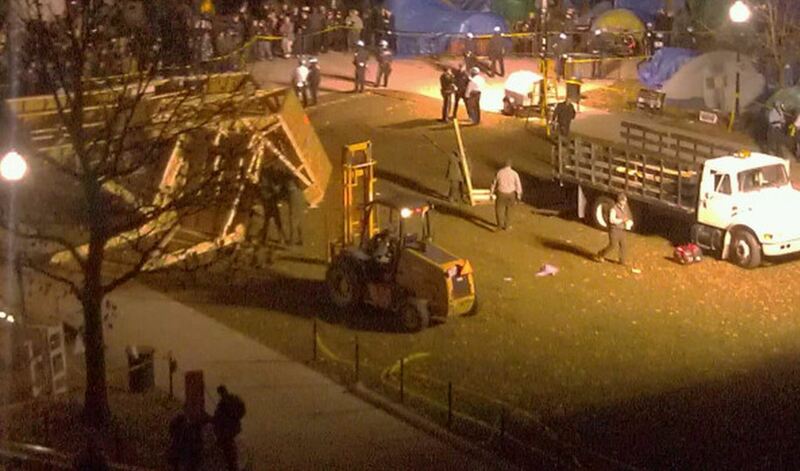 While watching this via UStream, it truly was a “David versus Goliath” moment. 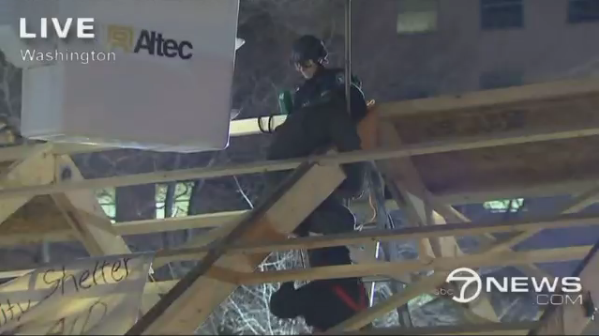 Kudos to the man who did the UStream feed…. even though the video was difficult to see, he gave a very detailed and up-to-date commentary throughout the entire event. It has become completely apparent that our First Amendment declaring the right to protest is no longer being upheld by our government. The first video below does change from the screen capture you see at the beginning to a news camera, but listen to the commentary provided. He describes the scene occurring between David and Goliath. The next video is the UStream previously mentioned. 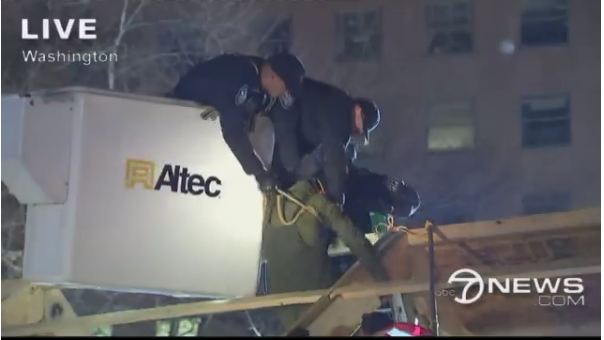 The video is not very good, but this is where you are able to hear the entire “play-by-play” commentary as the police attempt, and eventually succeed, in capturing and restraining David. 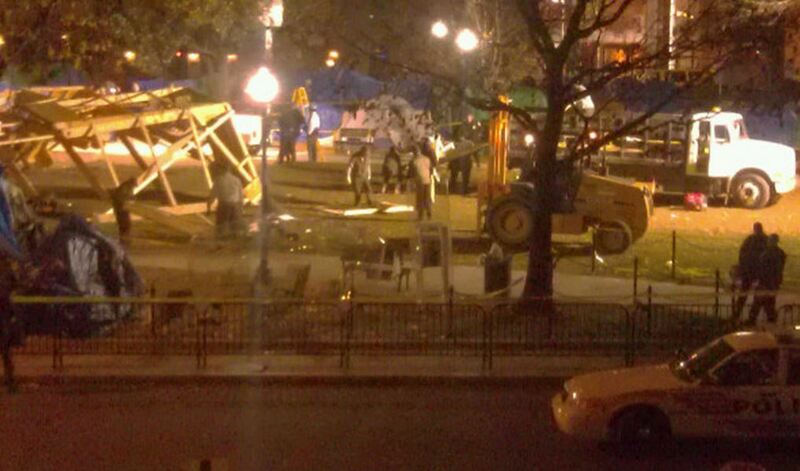 Photos below, and a few additional videos follow after the photos. 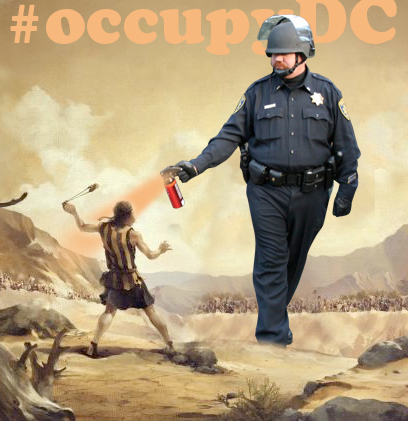 Now, briefly, on the lighter side of this evening, a new meme creation of our infamous Lt John Pike as Goliath pepper spraying David…. 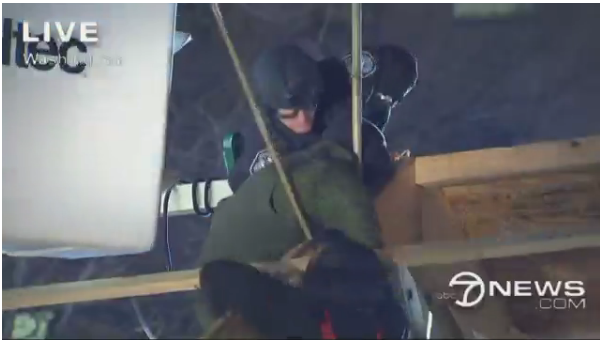 Photos of the police attempting to detain and arrest David…. A few more videos of news feed…. It’s a shame that the President, like he did for Wisconsin, stays on the sidelines…but then a corporatist support will do that all the time. Where is the hero? Where is our supporter of democracy? Either re-introduce full progressive taxation of wealth and income, shift this untenable economic burden off the working class onto those of wealth and property, reregulate the banks and bring a social democratic system into place or face strong popular opposition. The public is fed up and will not go away. We don’t want the banks debts to be ours and the same for illegal, illegitimate wars of aggression. Wait until the first national strike happens in the USA. It is coming soon.